Carson Cooman is a dazzling figure rising meteorically on today’s compositional scene. 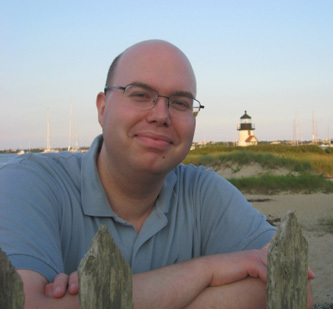 Born in Rochester, NY, in 1982, Cooman is a graduate of both Harvard and Carnegie-Mellon Universities, where he studied with Bernard Rands and Judith Weir, among others. He has written literally hundreds of compositions, from choral anthems to operas, and his works are performed widely in the United States and elsewhere. There are currently at least ten compact discs devoted entirely to his music, and many more that feature his work along with that of other composers. Cooman’s music reflects his non-ideological attitude, and ranges from the touchingly simple and diatonic (such as the song linked below) to a variety of atonal approaches. Much of Cooman’s music is religious, either explicitly or implicitly, and some of his works explore the sense of contemplative rapture that appeals to many of today’s composers of sacred music. One of his largest works of this kind is , an oratorio based on the writings of Julian of Norwich, recently released on Albany Records (TROY1143). In addition to composing, Cooman is also active as an organist and music critic, and serves as a consultant to other composers and music professionals.